Traditional size cup and saucer. 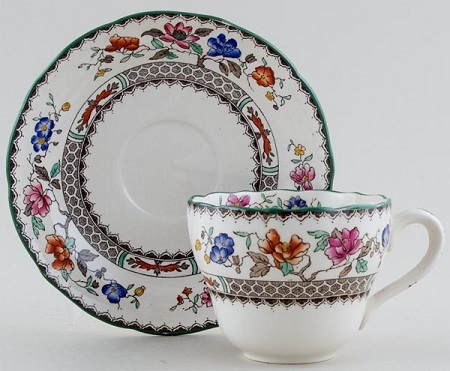 Backstamp: Copeland Spode England Rd No 629599 Chinese Rose. A few very minor signs of wear, overall excellent condition.